Whatever you desire. 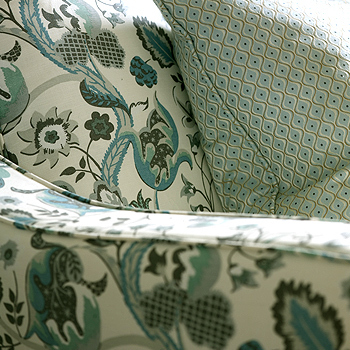 From Armchair to Z-bed, with our bespoke upholstery service we can bring your soft furnishing ideas to life. 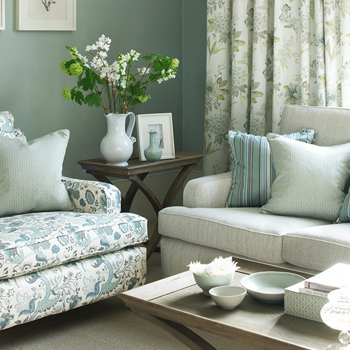 The sky really is the limit, we have one of the largest fabric collections, the ability to produce one off bespoke frames and skilled upholsterers, we really can work from pictures you have found in magazines or even your imagination. Headboards to footstools, hardwood framed daybeds to ottamans, we would be delighted to discuss your ideas. Where necessary we can completely strip, re-web and re-spring if a full overhaul is in order. Should it be required, we can repair wobbly joints or woodworm damage and re-finish the woodwork to bring your chair back to as near as possible to its original condition. 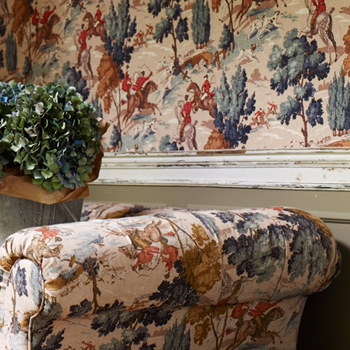 We have been entrusted to re-upholster many cherished antiques and our clients have been delighted with the results. Add that feature piece of furniture with a tailor made loose cover. Why not use our interior design service to bring together your ideas into your own unique interiors with the perfect look?